I am pleased to inform you that I never say anything I regret. You should also know that I speak to my children with gentleness and patience, even when I am sleep-deprived and hungry. While I am on the subject of food, let it be clear that I never put a plastic cup in the regular trash, even if I have to walk to find a recycling bin. It is just the right thing to do. You see, I behave privately exactly as I do publicly, and that includes always using a cup instead of chugging straight from the carton. That is why I am qualified to lecture you, gentle reader, on the merits of integrity. Before I go on, and to prevent you from finishing that thank-you letter to me for being such an upstanding citizen, I have to admit something. All of the above isn’t exactly true. I am no more qualified to tell you how to live in integrity than anyone else. But there is something I do feel qualified to do: listen to people. I love asking the kind of questions that get to the heart of what people care about. Through thousands of conversations, I have come to believe that when we listen to others – really hear them – we help them come into integrity. I think of integrity as a state of being when our insides match our outside. When we’re able to express and act on the things we value most. When Dana came into our appointment and sat down, her dyed black hair covered most of her face and she stared straight at the wall. She didn’t want to be there, and she wanted me to know it. But over the next hour, something awesome happened. After a long train of defensive statements, Dana realized I wasn’t going to blame her, and that I cared about her feelings and her intentions. Dana told me about the drugs she was on, as well as some intensely personal things about her relationships with her boyfriend and her family. At the end of the interview, I had more information about her then the counseling center needed. What touched me most, though, was the change in her face by the time she left. She seemed vibrant. She said no one had listened to her like that before. She even said, “I know I need treatment. I know I need to stop using.” That’s something she’d been denying from the start. It seemed to me that through being heard, Dana remembered a bit more about who she was, and what she most wanted in her life. I have also experienced the feeling of finding a sense of integrity by being heard by another. After my husband and I separated, I went through a period of enormous self-doubt and internal conflict. I vacillated from one extreme of emotion to another, and often found it difficult to know what next step to take. Having others listen to me and ask penetrating questions helped me hear my own voice, and remember what I valued. When I heard it put that way, I felt a rush of clarity. I knew that I needed to quit that job and find one that allowed me to have the time with my kids that I wanted and valued. So I did. Amazingly, I ended up with a job that is incredibly flexible and aligns with my passion: I now develop small group programs that encourage people to listen to God, to themselves and to each other. 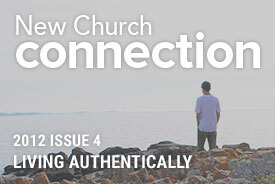 I also interview people and write their stories for New Church Connection, a job I find deeply satisfying. In addition, I have the extra time with my kids that I had missed and craved. Through sensitive listening, that friend helped me find my integrity. She helped guide me to a place where I can live a life that aligns with what I value most. It’s easy to lose sight of our values. None of us acts purely in integrity all the time.We need to keep checking in with ourselves, asking ourselves, “Is this what I really want?” “Does this align with what I really value?” And when we hear conflicting answers, letting another person listen and reflect back to us can help immensely. So why not offer someone else the gift of listening? I encourage you to be on the lookout for someone who might need a listening ear. When you find that person, please do your best to drop every ounce of judgment, and simply hear them. Remember that when you listen sensitively to someone, loving him, and avoiding criticism and judgment, he is free to relax, loosen, and share. And when he shares, he will hear himself. And when he hears himself, he will be able to better integrate his inside with his outside. Because of this experience he will feel –at least to some degree - a stronger sense of integrity.